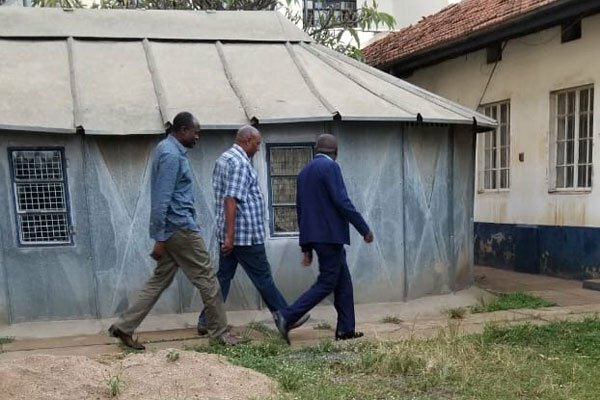 Migori Governor Okoth Obado could spend the night in police cells after he was whisked away from Nyanza Regional DCI offices in police cars after more than six hours of questioning. However, his lawyer Cliff Ombeta has denied that his client was arrested, saying that he came to record a statement concerning Sharon Otieno’s murder. Earlier reports indicated that Obado is set to undergo DNA tests as detectives seek to ascertain whether he has any connection with the murder of Rongo University student Sharon Otieno. “Our client was not arrested. He came here to give his statement and that is what he has done,” Mr Ombeta said. Obado presented himself at the DCI headquarters in Kisumu at around 9am on Tuesday upon summoning by the Director of Criminal Investigations George Kinoti.